Welcome to The Stratford at Hillcrest. Immerse yourself in contemporary comfort, mature landscaping, and thoughtful amenities. Located in South West Winston-Salem, NC near Hillcrest Center Circle and S. Stratford Road, The Stratford at Hillcrest is just minutes away from endless dining, shopping and entertainment at Hanes Mall. Relax on our sundeck next to our pristine resort-style swimming pool or enjoy coffee and refreshments inside our Community Clubhouse. You deserve the best in apartment living, and our community offers an engaging lifestyle for everyone. 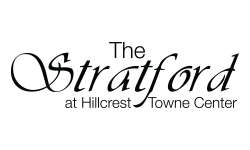 We invite you to browse our photo gallery and our extensive list of Interior Apartment Amenities to see why The Stratford at Hillcrest is the perfect home for you.